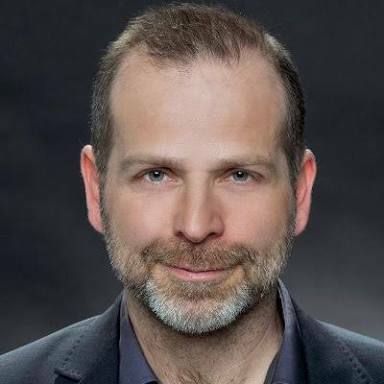 Dr. Axel Schumacher is the Cofounder and CEO at Project Shivom. He is a trained geneticist with over 25 years of Research and Development leadership experience in genomics, epigenetics, biomarker discovery, digital health, aging & longevity. Some people may know him as the author of the ‘Blockchain & Healthcare Strategy Guide’, the standard blockchain compendium for the healthcare industry. He is also a Member of the Blockchain Research Institute in Toronto. 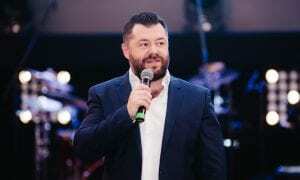 In this interview, Dr. Alex, will be sharing with us, the good news, success report and opportunities available to us from Shivom. SHIVOM is a multi-national precision medicine startup, and we are aiming at building the largest genomic and health data hub around the globe by combining state-of-the-art technologies such as blockchain, DNA sequencing, artificial intelligence and cryptography to power secure and personalized medicine. Basically, Shivom aims to solve several problems that plague healthcare systems, from inaccessible data silos, data breaches, healthcare data that is not actionable or difficult to interpret, unclear data ownership, unsustainable healthcare costs, and data portability, among others. For example, healthcare data, when siloed and stored in a variety of formats and disparate databases, is not readily available for society’s maximum utility, benefit, and medical needs. Compartmentalized information, especially for genomics data, significantly limits healthcare providers from being able to conduct effective research and to develop drugs. If researchers (and private individuals) around the world fully shared their genomic data, then the collective data would likely be more profoundly valuable and useful. In addition, by making data accessible on a global level, including ethnicities with unusual mutations and phenotypes, would significantly improve clinical trial outcomes and further advance development and adoption of precision medicines. By combining genomic sequencing data with health records, researchers and clinicians will have a vast resource that can be interpreted to improve patient outcomes and be used to investigate the causes and treatments of disease. Sharing data has clear benefits but only if the highly sensitive health data is protected from cybercriminals. Obviously, you don’t want to have your genome data or your medical records shared with other people without your consent, or even worse, finding your data on the web for download. However, today’s centralized databases continue to allow for multiple points of access and failure as evidenced by routine reports of data hacks and breaches worldwide. One solution is to develop new blockchain-based technology solutions. Such platforms must be accessible on a global scale, offer data provenance and auditing features, be easily accessible and understood by all users and stakeholders, and easily allow for the upload/addition of new genomic data. In addition to relatively poor security practices and protocols, participants continue to lack sufficient access and control to their own sensitive personal data and electronic healthcare records. Beyond lack of transparency, patients also continue to be discouraged and lack incentives to participate in studies and share data, which is known to be routinely monetized by third parties. Based on these and other persistent healthcare system deficiencies, people worldwide increasingly demand not only new practices, technologies, methodologies, business models and innovative approaches to the drug discovery and therapeutic remedies, but also greater oversight, management and control over their personal data and wellness/healthcare – and this is exactly what Shivom will is working on. 2) What makes the Shivom blockchain project so special that it has gained so much attention and financial support? I think there are several reasons for this. First of all, everybody understands the need for better healthcare. Sooner or later, all of us will get seriously ill. Most people have family cases of complex disease such as diabetes or Alzheimer’s, or genetic disorders. Improving personalized healthcare is easy to understand, and everybody can relate to it. Second, people like to be empowered. We do not want to repeat the mistakes of other organizations, we want to put the patient first, and we want to build an ecosystem for the greater good. We believe that such an important, global initiative for the greater good should be steered into the right direction by an international, non-profit consortium. As such, Shivom plans to form a not-for-profit, global foundation that will ensure security, sustainability and proper ethical conduct of the system. This is important to build an active and engaged community. 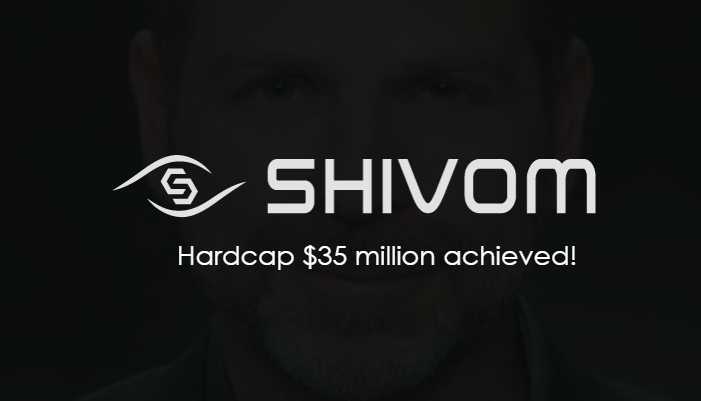 Also, Shivom has a comprehensive business model, leveraging game theory and network effects to establish a fully integrated healthcare service system with long-term sustainability and the possibility for users to monetize their data. Probably most importantly, no other company/start-up in the genomics space has yet developed adequate privacy protection mechanisms (required for cross-border data movement according to new European data-protection rules) such as biometrics and cryptography layers on top of the blockchain. More and more people understand the need for such a solution. Moreover, Shivom has some amazing advisors, partnerships and is also backed by government teams and officials. 3) How excited are you on your $35 Million funding success and what is your next target? Of course we are very excited about the closing of our funding round; having this support we can be fully operational, and we can expand to new markets and regions, and hire the people we need to follow through on our goals. Nevertheless, we are operating on a lean budget; compared to other precision medicine companies, our funding is still very modest (e.g., other companies such as Grail raised over $1 billion in venture capital). Now we are mainly focused on building the platform to the level that is needed to iterate through the first cycle of a Build-Measure-Learn loop with early adopters; this also involves to putting a process, a methodology around the development of our products. 4) What are the Major services from Shivom and how they work? The central parts of our ecosystem are the blockchain platform and the genomics database. The Shivom platform is designed to be blockchain agnostic and will utilize best-of-breed technologies depending on network requirements. Shivom plans to deploy a sophisticated cryptographic identity layer, and the main components of the platform will be based on distributed ledger technology derived from various blockchain solutions and protocols. By using this technology, users can own, manage, and securely store their genomic and health data. If people are not yet sequenced, they can get sequenced with our service; here we focus on whole genome sequencing of individuals. Some of the tests, e.g., when people suffer from rare diseases or if they are part of research studies will be available for free or at subsidized rates. In this context, patients will be incentivized directly by donating data to the research studies. With the consent of the data owners, pharmaceutical companies, researchers, and population health projects can access the database for their R&D purposes and to enable precision medicine. Also, we are working on providing additional services to the users of our precision medicine platform such as wellness or fitness apps, preventive health services, dietary or lifestyle advice and products, and a variety of healthcare-related services, among others. To achieve this, we intend to provide an open web-marketplace for providers and developers to add their apps and services alongside advanced data analytics to our platform. As we build this global healthcare ecosystem, we will reach even underserved and low-income countries where such services have not been previously available. Long-term we want to build a genetic counselor network to make all the genome data for people understandable. Genetic counselors will be responsible for providing education and risk interpretation for consumers as well as supporting health promotion models. 5) Please tell us more about your token and how OMX Token holders can profit from it? The OMX token will be the fuel of the Shivom ecosystem and necessary for all transactions that occur on the platform. Users will use the OMX token to access healthcare related products and services. All parties on the Shivom platform including individuals, pharmaceutical companies, research organizations, insurance companies, universities, employers, etc. can utilize OmiX tokens to settle any activities and transactions to include the procurement of products and services. Customers signing up to use the platform will have a wallet with an OMX balance, which will eventually be reduced by the tokens being used on the platform. Tokens are digital and cannot be counterfeited or reversed arbitrarily by the sender as is the case with credit card charge-backs. Tokens use a “push” mechanism that allows the token holder to send exactly what he or she wants to the healthcare provider with no further information; lowering the chance of identity theft. Also, the strong encryption techniques employed throughout the distributed ledger are a safeguard against fraud and account tampering, and guarantors of consumer privacy. Research organization can leverage the token in many ways, e.g., they can sponsor sequencing projects, access the genome database and analytics, pay donors for data & participation in research studies, support rare disease projects, find participants for research studies, or add their apps and services to the platform. 6) What is the future of Shivom within the next 2 years? There is a family of popular humorous sayings about the formidable task of successful prognostication, attributed to a diverse collection of individuals, including Niels Bohr, Sam Goldwyn, Robert Storm Petersen, and Yogi Berra. It says: “It’s Difficult to Make Predictions, Especially About the Future.” In this context, a lot of the exciting developments of our platform will depend on our partnerships and the global Shivom community. Nevertheless, we have goals. To quickly build the ecosystem we have to follow opportunities, and there are plenty. We are already talking to governments and other stakeholders in the healthcare ecosystem. Next, to the development of our platform, we will also start manufacturing our OmiX kits which will allow consumers to submit samples for sequencing at our dedicated sequencing labs. Together with our collaborators and partners, we also aim to begin integrating big data analytics and artificial intelligence subsystems to provide users insights into their DNA data, which will likely become available in 2019. 7) Please, we would like to know more about your amazing team and why we should trust you to deliver on these promises. We have a growing team of enthusiastic individuals from all over the world. 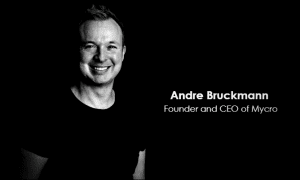 Our team is made up of experienced individuals in the blockchain, healthcare and cryptocurrency space and we also have already several amazing partnerships. We are also backed by government officials, including former PM of Estonia, Taavi Roivas, a member of the European Parliament, Antanas Guoga, and the Govt. Of Andhra Pradesh, India. We are especially proud of having a unique Innovation Council that will support and inform Shivom’s senior management team about future technology and industry trends and considerations; and help to prioritize investments, resources, and initiatives. The Council is comprised of world-class experts and thought leaders in a variety of key areas and domains ranging from AI, Genomics, Business Strategy, Cryptography, Computer Science, Cyber Security, Telemedicine, IoT, Futurology, to Precision Medicine. These individuals will help to foster new ideas, skillsets; postulate possible, probable, and preferable futures; introduce new products and ideas; and facilitate funding, advice and networking opportunities and initiatives. 8) Compliance and security are very paramount in today’s crypto market, what is Shivom doing with regards to these? Yes, it is important to be up-to-date with new trends and regulations. We expect that for the crypto- and blockchain environment that new GDPR rules will have the most significant impact. For us, this means we will focus on a constant assessment of current data privacy practices, the creation of a data privacy governance structure, and creating useful information notices for our platform users. In particular, we are now in the process of hiring a dedicated data protection officer (DPO) who will help us to monitor internal compliance, inform and advise on our data protection obligations, provide advice regarding Data Protection Impact Assessments (DPIAs) and act as a contact point for data subjects and the supervisory authorities. Of course, we will watch the crypto-market carefully with the overall aim of protecting users and keeping our ecosystem safe, fair and efficient. I would like to invite people to be part of our global Shivom community. We would love to work with more researchers, patient initiatives and people that are interested in improving healthcare and wellbeing. Please visit our website – https://shivom.io for more information about our project and product.